On the morning of day 29 we woke up to beautiful blue skies … and lots of wind. 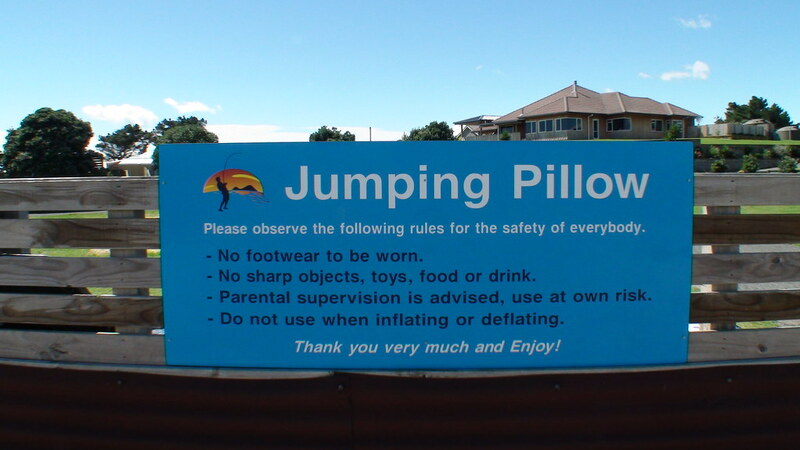 Before we left Thornton Beach Holiday Park, we did some jumping on their jumping pillow. I’d never seen a jumping pillow before. It was awesome. We left the holiday park and went to check out the beach. The sea was looking pretty wild. This island is called Moutohorā. No Muggles live on this island, but it’s the home of a professional Quidditch team called the Moutohorā Macaws. We drove from Thornton Beach to Mount Maunganui. Most of the fields we passed were flooded. It was lucky we didn’t have far to drive that day because driving through the aftermath of Cyclone Wilma was pretty slow going in some places what with the wind and the slips and the flooded roads. Just stay out in the middle as you’re going through. One for the camera! Safe journeys! We stopped to buy some fruit at an orchard shop. 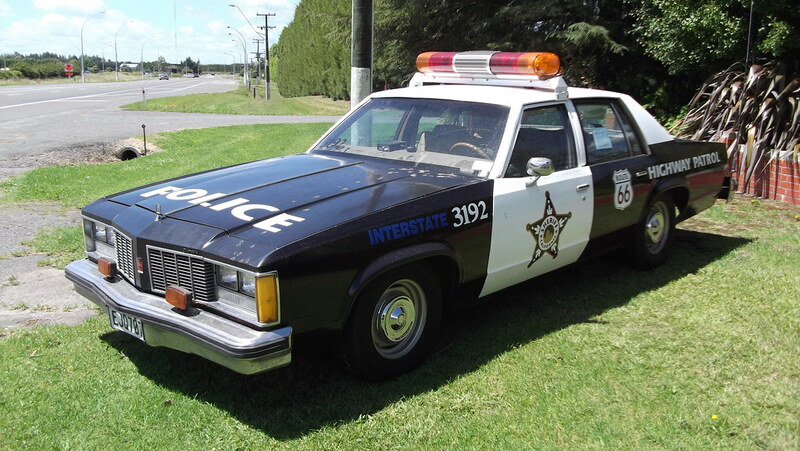 There was a car parked outside that looked like an American police car. 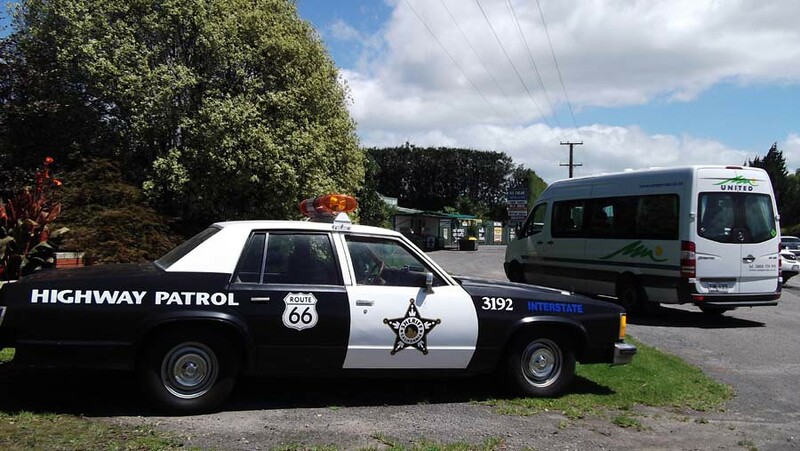 Highway patrol. Route 66. We saw the local paper inside. Flooding Chaos. 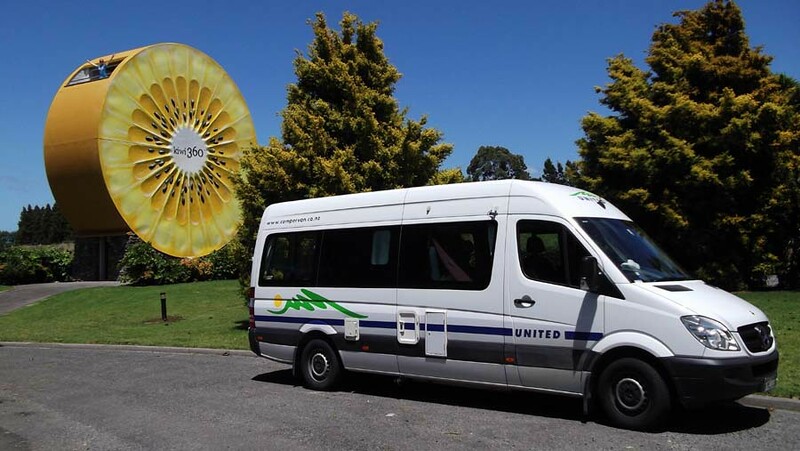 Just up the road we saw a giant slice of kiwifruit. It was green on one side and gold on the other. The place was called Kiwi 360. 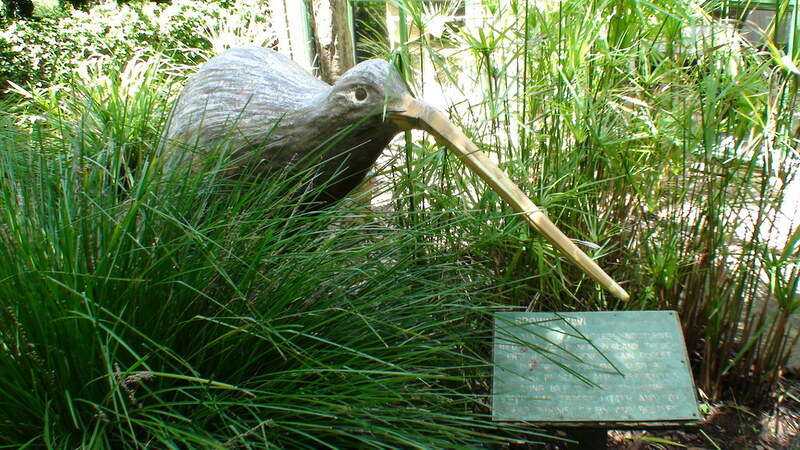 We did some souvenir shopping and had some coffee in the garden where we saw some kiwifruit and a kiwi. 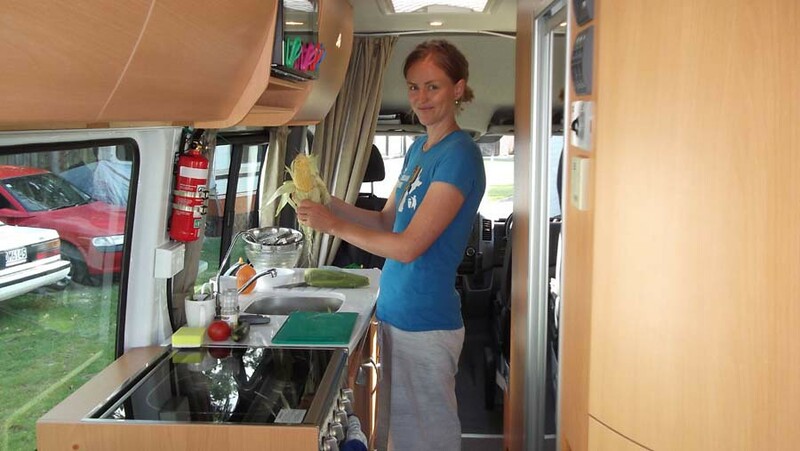 When we got to Mount Maunganui, we went and found the place where we were staying: Golden Grove Holiday Park. Then we headed out again to find a car wash.
Our motorhome got pretty dirty driving through some roadworks a few days earlier, so we decided to try out a self-service car wash.
I’d never tried this before and it was fun. The machines work on a timer and one dollar doesn’t last very long … so I tried to clean as fast as possible. After the car wash we checked out the shopping area and the beach. 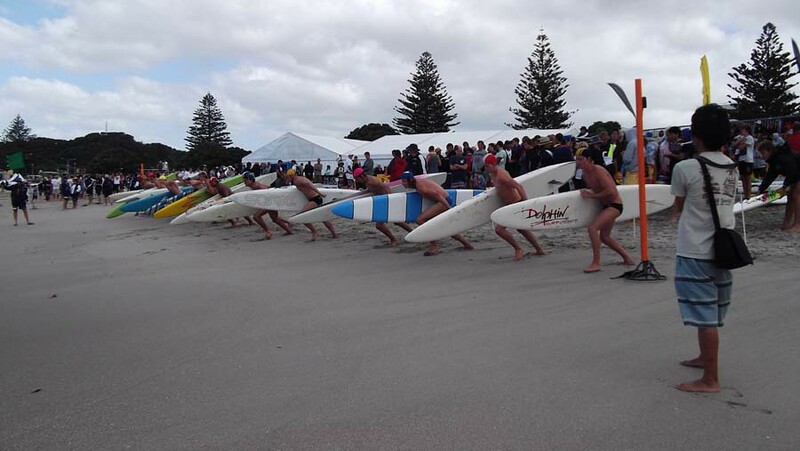 This town is called Mount Maunganui or The Mount. And this mountain is called Mount Maunganui or Mauao. 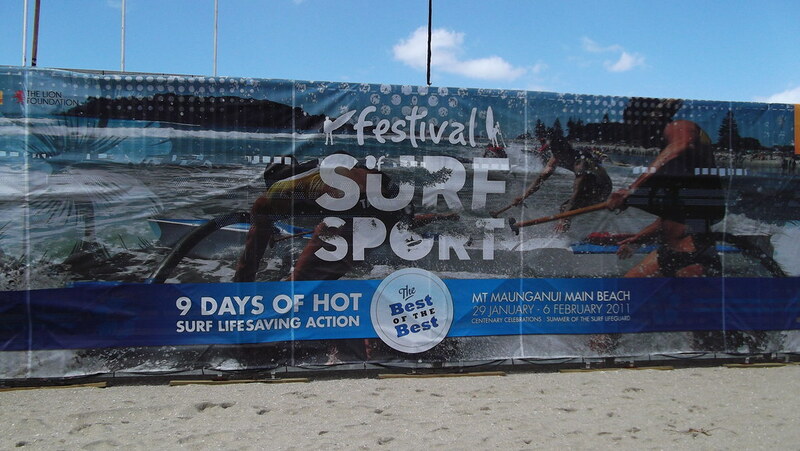 There happened to be a festival on at the beach and the place was packed. Finding a park wasn’t easy, but we drove around in circles and found one eventually. 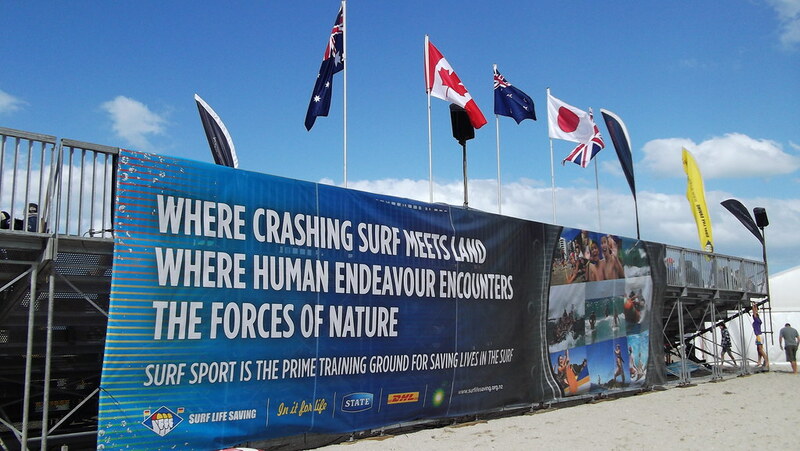 It was the first day of the Festival of Surf Sport. We found a postbox and sent a postcard of the East Cape lighthouse to the United States. And we had dinner back at the holiday park. The place where we were staying was only a couple of hundred metres from the beach, so after dinner we went for a bit of a walk.